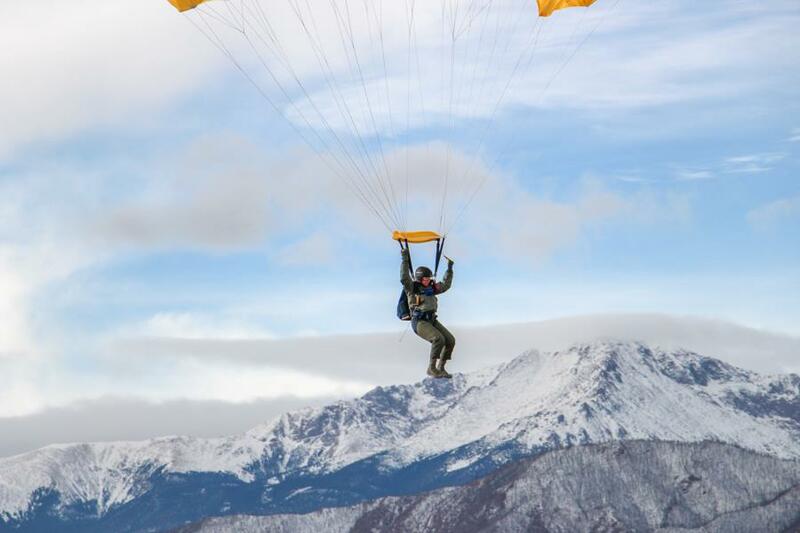 We're back with coverage from this Go's 5th Jump! 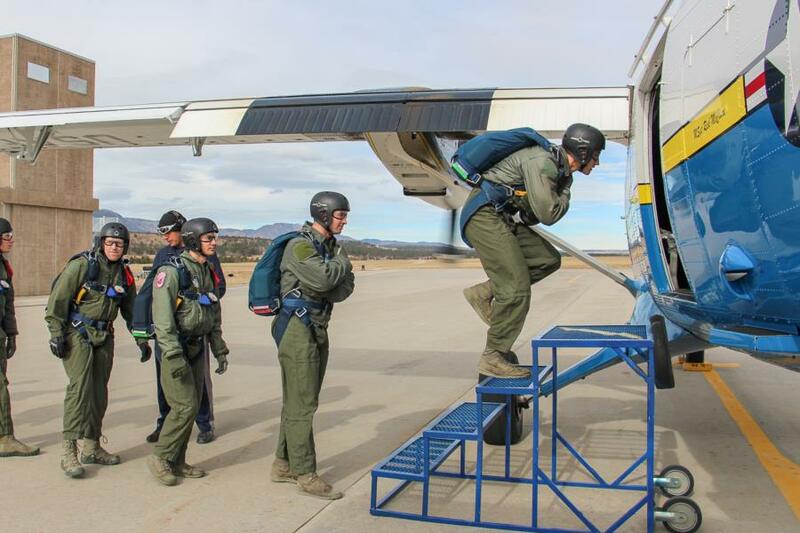 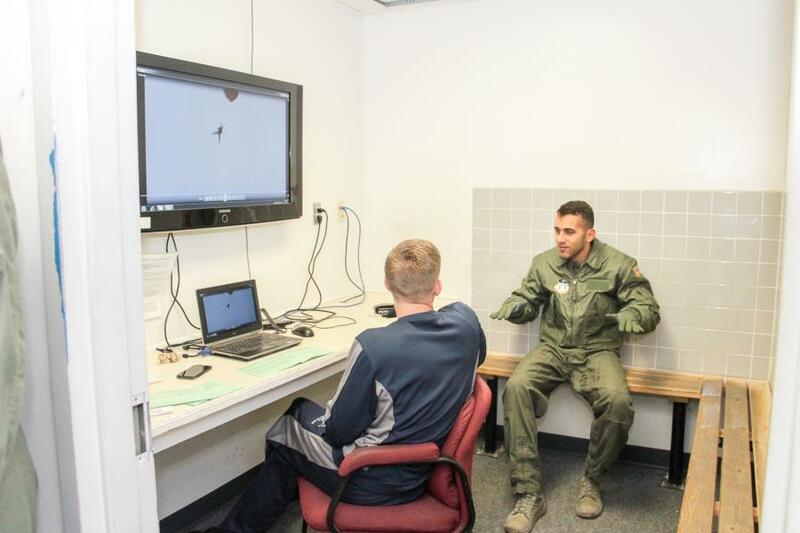 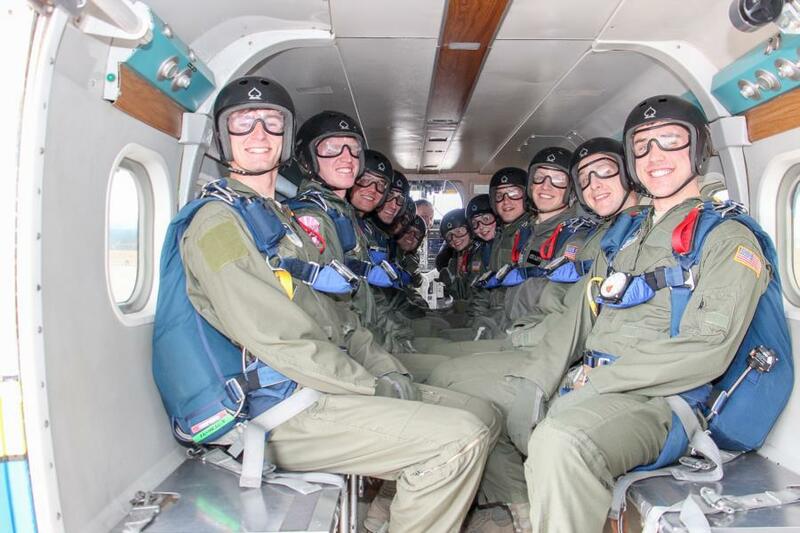 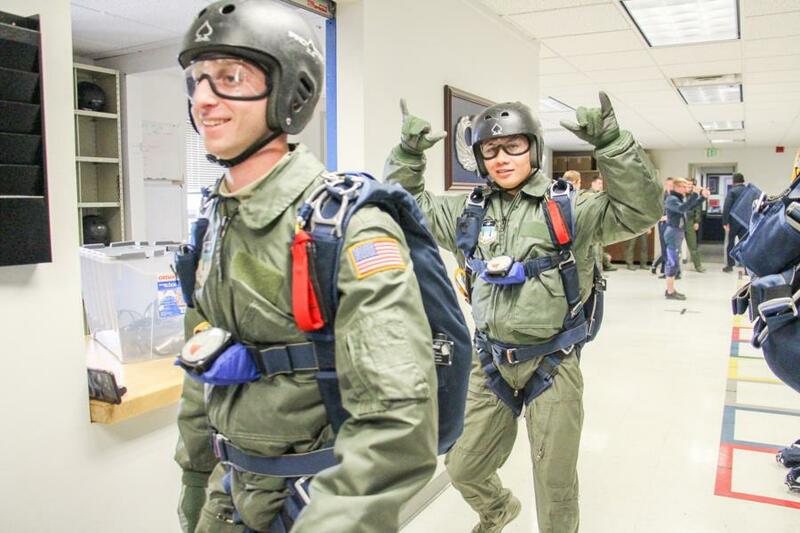 This past weekend was a very busy one for AM-490 Cadets, most of them finished getting to their 5th Jump and we were there all day Saturday to catch them in action! 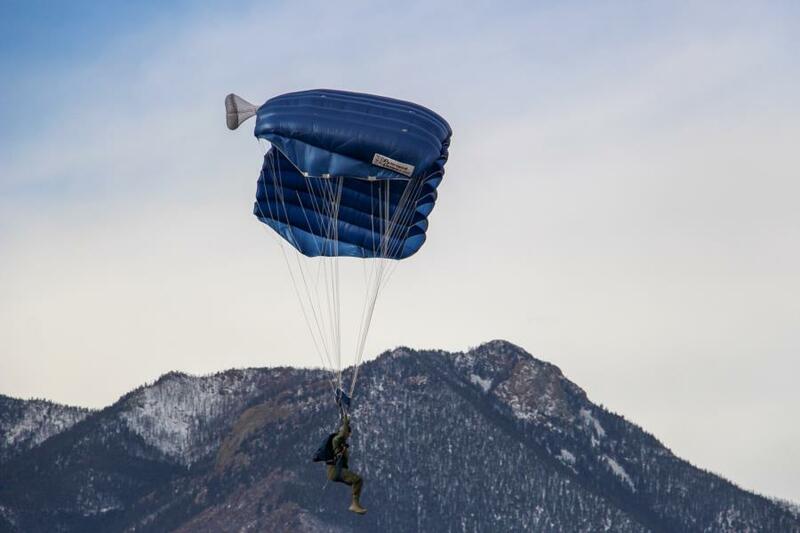 The Cadets have been Jumping just about every day this week, outside of Monday which is a no Jump day and Friday last week because of bad weather. 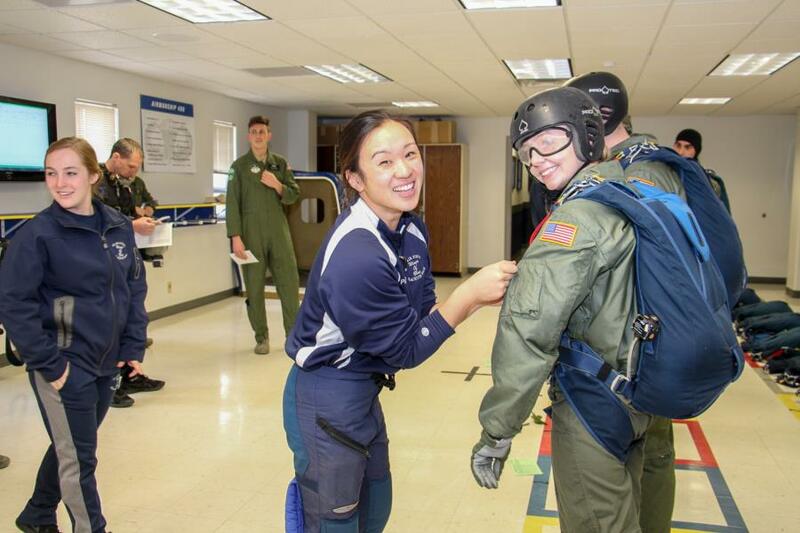 On the weekdays the M and T day students only have about 2 hours to jump during their class period but on Saturday's they have as much time as they need to complete their jumps or until 3pm, whichever comes first. 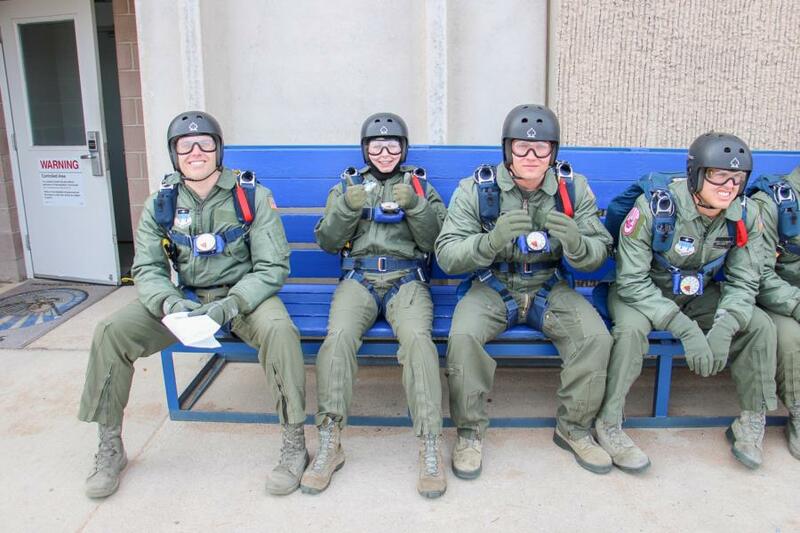 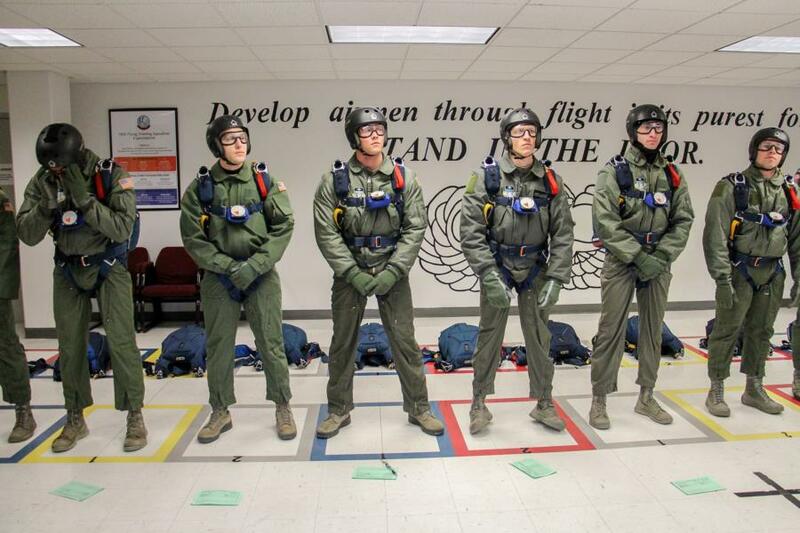 Some Cadets were only on their 1st Jump while others were already on Jumps 3 or 4. 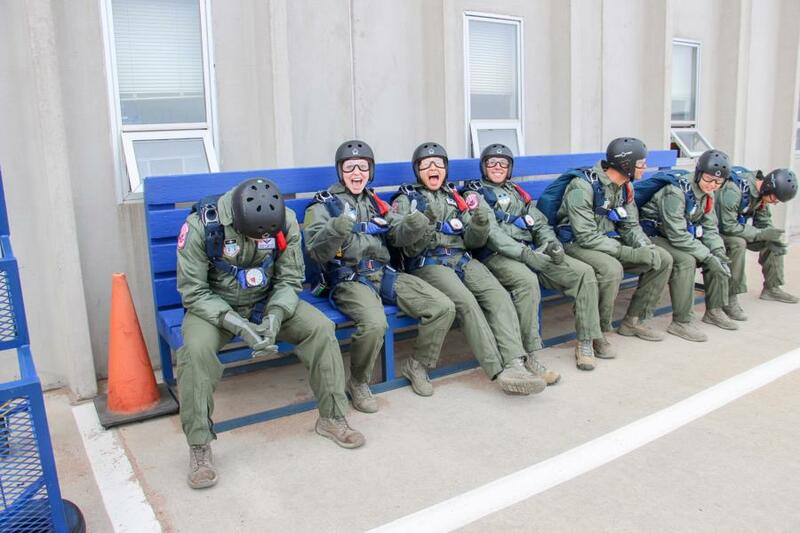 By the end of the day almost everyone had reached their 5th Jump, those who didn't will most likely be finishing out during the week this week. 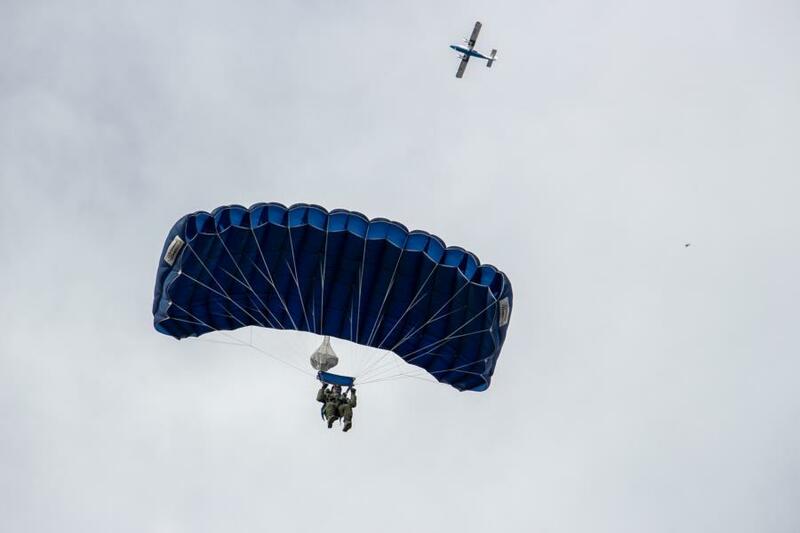 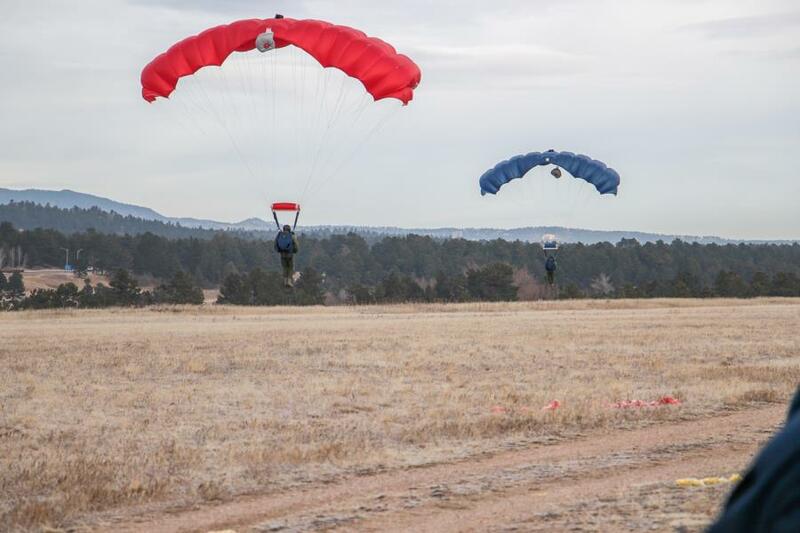 Each jump is videotaped from the second they exit the plane through their 10 second freefall until they release their parachute. 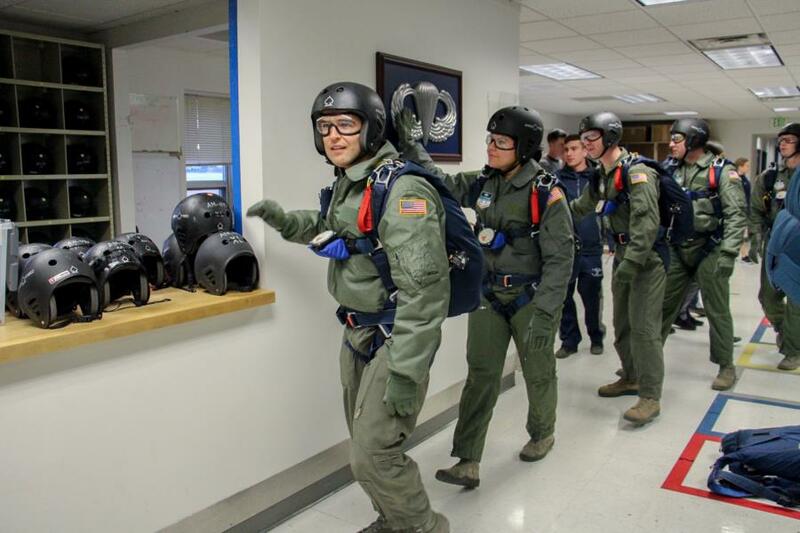 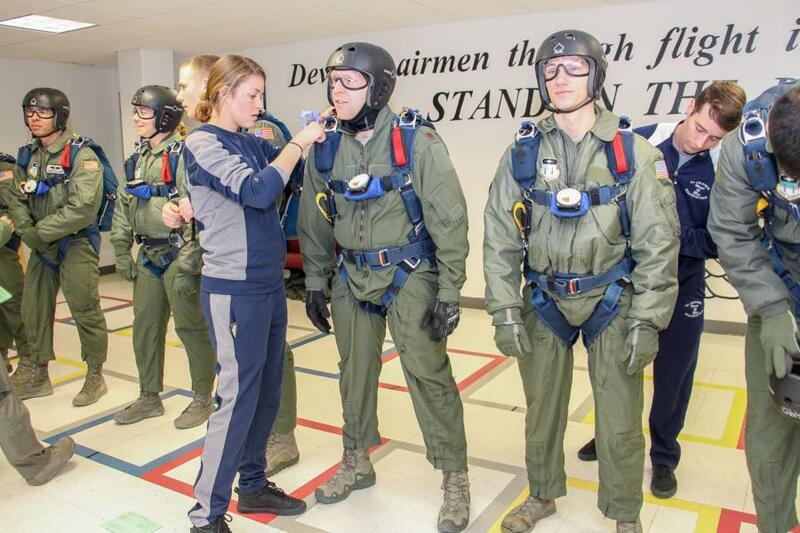 After the entire group has landed they are then all briefed and graded on the execution of their jump. 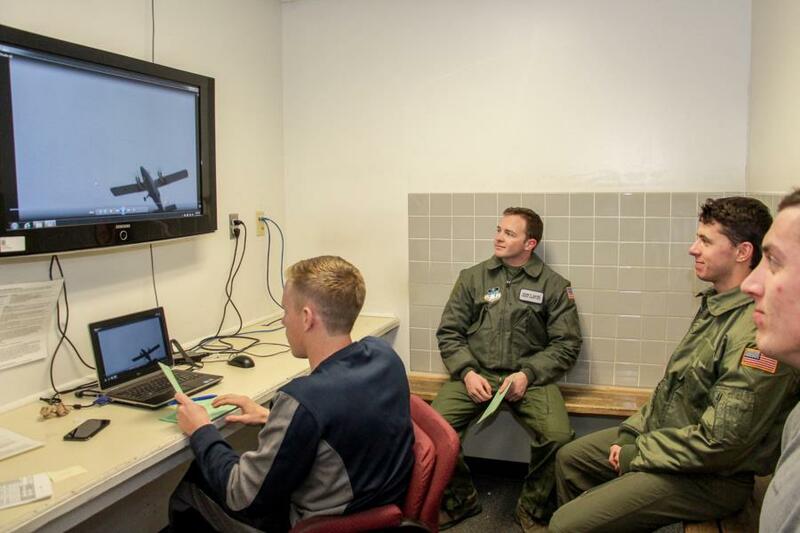 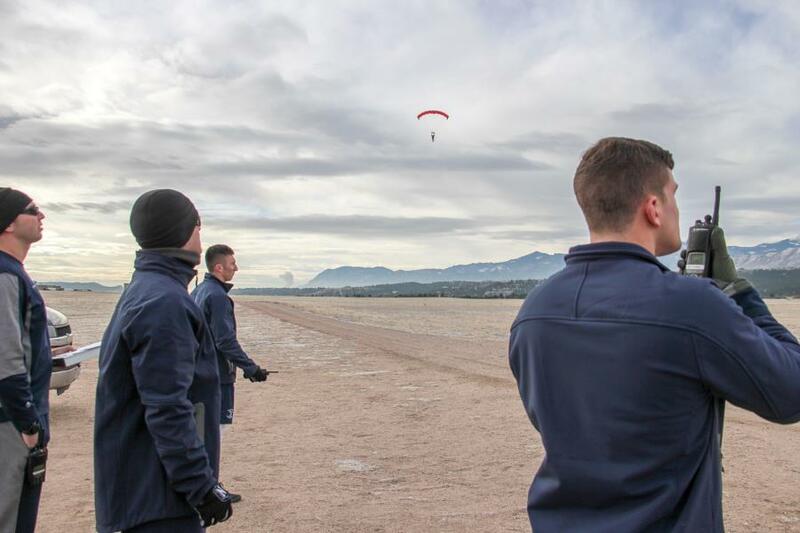 We love when we happen to get shots like the one above and to the right, it looks like the Cadet is on Pikes Peak. 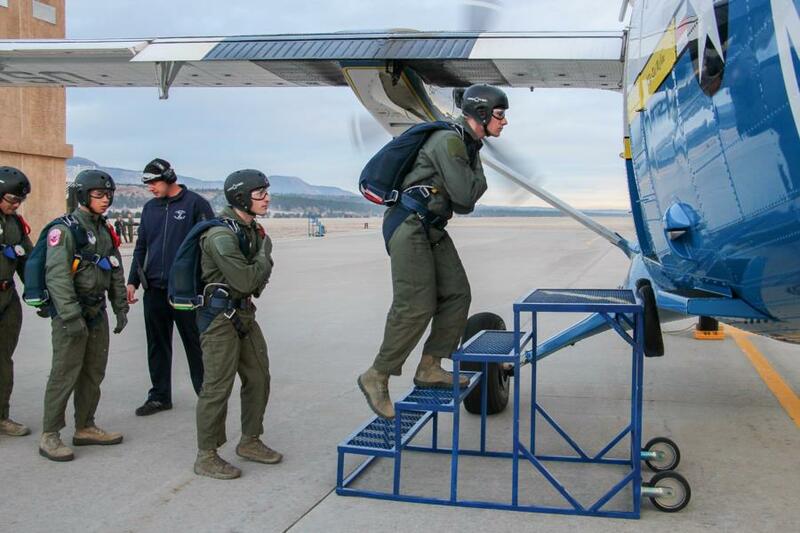 It's USAFA's version of the Leaning Tower of Pisa! 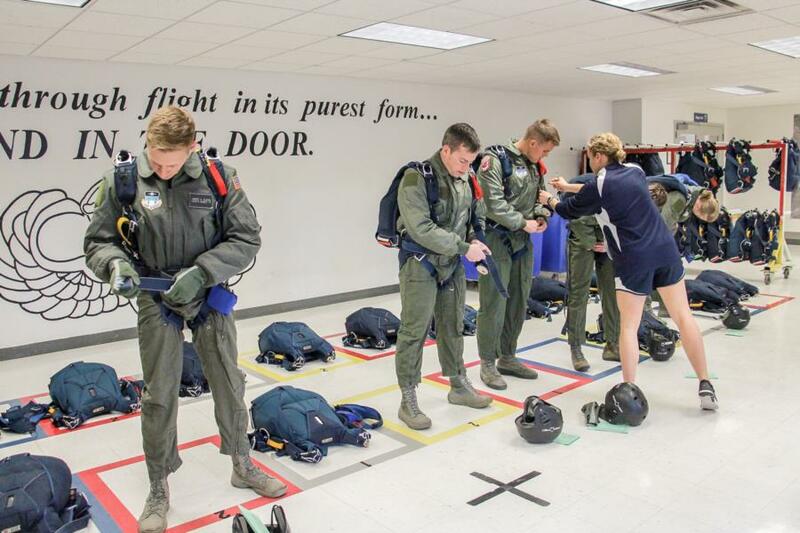 As the Cadets are nearing the ground, WOB - Wings of Blue Cadets are there to help guide them and prepare them for their landing.